Forget the Governor’s race. Former Rep. Joe Sestak said today he’s looking at a rematch with Sen. Pat Toomey. 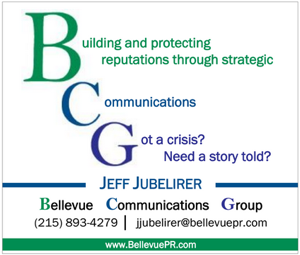 The move instantly makes Pennsylvania one of the nation’s marquee U.S. Senate battlegrounds in the nation in 2016. In a web video published Tuesday, Sestak, 61, announced the formation of a 2016 Senate exploratory committee: Leadership for a Better America. “The U.S. Senate’s lack of leadership and lack of accountability in not confronting our challenges has meant our country careens from crisis to crisis,” he said. Sestak, the former Congressman and former Admiral, set off a flurry of speculation when he raised $460,000 last quarter seemingly out of nowhere. After defeating Republican-turned-Democratic Sen. Arlen Specter in the 2010 primary, Sestak lost to Toomey by 2%. 2016 is likely to be a better year for Pa. Democrats across the board. Though he has only 2 years on the job, Toomey has been hard at work on his re-election. He raised $514,000 in Q1 and had $2.4 million on hand. Update: His spokesman and 2010 campaign manager Mark Harris issued an eyes-forward, standard response to the news. 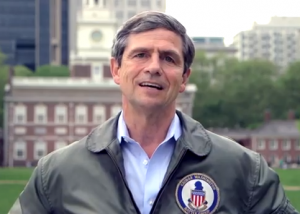 Update 2: Sestak will have a job in the meantime: the General Omar N. Bradley Chair in Strategic Leadership at Dickinson College and the U.S. Army War College in Carlisle. “While in residence, Sestak will conduct classes at Dickinson College, the U.S. Army War College and the Penn State University Dickinson School of Law and School of International Affairs,” the college announced. The position, which by its nature cannot be filled by a candidate, explains perhaps why he’s been so careful to avoid declaring himself in the race. I think Hicks has a limited perspective, and nothing in his testimony is particularly damning. It was a fluid situation, and he’s being a Monday morning quarterback about decisions above his pay grade, including access to classified information. CIA is at fault here. They didn’t want resources (= attention) on their operation (which had nothing to do with helping Syrian rebels). Put down your crack pipe. I like Obama. I admire him for his focus/understanding of complex issues. Quite a relief from Dubbya. I wish he’d push harder on some social/liberal issues, and call out the republicans more on their behavior. The Republicans have been petty and obstructionist. Hillary’s okay. I’m not a big fan, but I think she did a good job as Secretary. She and Bill are the best advocates for America to the rest of the world. She understands the benefits of diplomacy. She’s good on the issues. I think she’ll smash anyone the GOP has in the bullpen. @ David Diano, man you are a Kool-Aid drinker. Hillary and Obama supporter whistle blower Gregory Hicks must be lying I guess. It’s a shame when Hillary got the 2am phone call she bragged about in 2008 from Mr. Hicks during the attack she never bothered to answer or call him back. And the President?? He must of been tired that day because he went to bed at 6pm the night of 9/11/12. Benghazi was all about the US Govt. illegally running arms to the Syrian rebels. That will come out in the wash sooner or later. But of course. I guess I’m a racist and sexist to criticize Obama and Clinton. David get a life. Way too many post. You are obviously part of the Democratic unemployed base. Three scandals? I count two. Benghazi is manufactured issue. It’s pretty clear that Benghazi was CIA operation, and any adjustment to talking points can be chalked up to CIA secrecy/CYA and interdepartmental jousting. The repeated out-and-out lies by Bush/Chenney over Iraq totally out weigh anything here. This is just political theater ahead of Hillary 2016. As for the IRS targeting…. I do think a lot of the political groups were breaking the rules (FEC rules, if not IRS rules), particularly Karl Rove and Gingrich groups which were certainly directly coordinating with campaigns. I would tend to think that an anti-government group would be MORE likely, than less likely, to avoid paying any kind of IRS taxes. This is just common sense, since they tend to treat the IRS as the enemy. That said, I think IRS over-reached and any violation of law should be punished. Unless Obama (or his surrogates) asked IRS to look into his political detractors, there’s nothing there. The AP scandal is under the umbrella of “search for leaks”. Again, an over-zealous breach. I think the Patriot Act and similar trends have given the government too much power to pry into this stuff. But, given the “search for leaks” mandate, I don’t see this hurting Obama, especially considering the GOP’s lack of regard for search warrants and 4th amendment. As for Toomey, it helps knowing who his opponent will be this early out, for strategy, fundraising, etc. But, 2016 is going to be high turnout for Dems and help Sestak. Sestak is probably strongest Dem against Toomey, given the field, fundraising, and Sestak’s existing statewide data/lists and lessons learned. Who says they won’t jump into Senate race… umm… just about everybody I’ve talked to at Dem events. Sestak would not only be the clear front-runner in a 2016 Dem Senate primary, it would be hard to catch/match him for fundraising, especially with Sestak off to an early start. Sestak is certainly the presumptive nominee. The losers in a Dem Gov primary will have a “stamp of loser” on them, and against Sestak, they would be hard pressed to find support for a campaign. Though many Dems would love to see “anyone but Sestak”, there would not be anywhere near critical mass even to form an exploratory committee for a serious candidacy. Must as I despise Sestak, I would rate his chances of beating Toomey in 2016 to be excellent. With no primary to weaken him, two extra years to plan a campaign, the media “rematch” frenzy, and a presidential turnout year, I’d give Joe a 70% or better chance of winning. (even higher with Hillary running, and his Clinton connections). Jeremy- I agree Schwartz benefits. However, I think McCord (though still an underdog) gets more bump from this. Think of it this way: Who would Joe have pulled more votes away from, McCord or Schwartz? 3) Some of the western PA vote where McCord and Sestak could position themselves to the center/right relative to Schwartz for moderate Dems. Proud PA Dem, he did that for his own self-preservation. Toomey sponsored that bill because Philly and its suburbs elect candidates especially in a Presidential year. Philly and its suburbs are disgusted with gun violence. Toomey is no hero. He is anti-labor, anti-middle class and TEA Party. One vote does not a politician make! This is a way tougher race for Sestak because of Toomey’s single vote. Dem money could go soft on Toomey because he did sponsor the background check bill. We need 60 Dems in the Senate so they can block the filibuster and get it back to a simple majority. I don’t care which party you belong to, but come on… Is it just me or are campaigns beginning WAY to early? With this logic 2016 presidential candidates should be forming exploratory committees now too and gubernatorial candidates should have announced in the spring of 2011?? I just don’t understand why campaigns have to begin earlier and earlier. And just to add, as a Democrat, and a proud one at that, I must admit I was impressed with Senator Toomey taking on the background check issue. It was nice to see a pragmatic politician in Washington. Although I really like McCord, he is smart, rich, a Democrat, can raise a ton of money, and a great guy. What he isn’t is a great campaigner! I am a huge fan of politics and didn’t know who he was until October 15 of this year and I must have voted for him in the primary last April. If he considers Senate, he will need to begin campaigning as soon as he would lose the Dem primary for Guv, barring he would lose. Who ever said that the losers of the Dem primary (or the general election if Corbett wins re-election) won’t jump into the Senate race? McCord will be term limited in 2016.
Who loses… Democrats not living in Philly and its suburbs! Wolf because his 63 county strategy is not applicable now. Philly and its suburbs are now split between two..Schwartz and McCord. Without Sestak drawing votes from this region, Philly and its suburbs will decide this election. Only two candidates are now fighting for those votes. Even if a guy like Wolfe can run the table in the other 63 counties, he can’t win. Sorry. I thought this was a free country were we could discuss pros/cons of political candidates. Diano really needs to get a life and quit the tinfoil hat ankle biting on Sestack. We got it you think he is satan. Going rainman on it is really creepy now. Watch Toomey’s fundraising go up, now that he knows Sestak’s committed to 2016. Actually, this is good news (in that it’s Sestak’s least damaging path)..
2) Any Dem candidates interested in the 7th Congressional district don’t have to sit on their hands waiting for “news from Joe”, and can assure donors that Joe won’t be stepping in. 3) Sestak has terrible downticket coattails. In 2016, it’s a presidential year, so Sestak’s inability/indifference to other candidates won’t matter, and they can ride presidential turnout/coattails. 5) Sestak said in 2010, that if elected, he wouldn’t seek more than two terms in Senate because he’d be too old. So we can get rid of Toomey in 2016, and have to deal with only one term of Sestak. This would open the field for someone like Josh Shapiro in 2022 ! 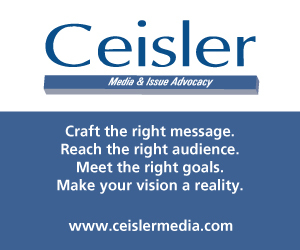 6) We get a break from any real Sestak “news” for about 2 1/2 years (so, that’s a break for me!). Watch his fundraising drop off now that people won’t be trying to push him into a Corbett challenge. PA GOP filed on Friday. Story was reported on Monday. Sestak got contacted before story for a quote, and may have gotten wind of it beforehand. Hard to say. Ryan – True. Also, even though Sestak ran against the Iraq War in 2006, once elected he voted with Bush/Cheney/GOP Iraq War funding (without timetables or accountability). I guarantee you that most Joe’s supporters have no idea that he voted opposite of his 2006 campaign promises. If you look at my posts, I’ve also been clear that plenty of people thought he was still holding out for Senate, and I suggested a path for him to Senate (and staying in the news) was to recapture the 7th. I certainly made it clear that he had better shot at Senate in presidential year than winning Dem primary and beating Corbett. I hadn’t come to a conclusion either way, though I personally was leaning 70%/30% he was going for Gov. I actually expected him to drag this out another year, and possibly run as an independent to avoid a costly Dem primary. I certainly expected him to declare as late as possible to drag out speculation. So, I was taken by surprise by him announcing either way so early. The timing with the GOP FEC complaint seems more than coincidence. Also, if you learned to read, you’d see that I referenced a Jan 2011 report (I think on PoliticsPA), not “somebody I knew”. So, nice try. My issue regarding potential smoke screen for Gov was whether or not he was violating FEC rules. Since it was from independent news report from 2011, and if he did announce for Gov, then his spending of Federal money for a state race would be “pre-mediated”. I’m pretty sure that I rarely referenced the Jan 2011 report outside the context of FEC issue. Also, Brad, that may well have been his thinking back in Jan 2011. You’d have to track down the reporter for who he heard staffers talking about it. Sestak is a stale candidate from a bygone era where the Iraq War mattered. Funny. PA GOP files an FEC complaint against Sestak on Monday and then Sestak turns around to announce his run for Senate. Combined with the overcast clouds (similar to what we have seen over the past few days) and it looks like he rushed to put this together. Interestingly, when I spoke to McCord about Sestak a few weeks ago at an event, he wasn’t the slightest bit concerned about Sestak. I got the impression his confidence was more about Rob’s belief in his own fund-raising ability, and Sestak’s lack of appeal outside of Delco. 1) When was it shot? Sky looks overcast. 2) A lot of stock footage. I recognize some from 2010 campaign. 3) I still can’t believe he put an exploitative clip of his ill daughter at the 2:32 mark from his 2006 campaign. No shame. 4) Joe’s wearing his military jacket, so he’s officially in campaign mode. 5) Joe starts speaking 8 seconds into the clip. At timestamp 31 seconds he mentions his 31 years in the Navy. The title of Joe’s committee, “Leadership for a Better America” is the title of a speech he gave at Rutgers in March. Did Rutgers realize it was hosting a campaign event? This was occurred during the time period when Sestak was ramping up his his fundraising and starting to take donations. Sestak has posted the video to his campaign site. Just like every other post, David Diano was wrong. Yet again. Great sourcing by relying on somebody you know who overheard Sestak staffers talking about Sestak planning to run for Governor since losing his Senate campaign. Thankfully, Diano isn’t a lawyer, a journalist, and everybody (even in Delaware County politics) thinks David Diano is self-deluded joke. I don’t expect the delusional to admit when they are wrong (even a fraction of the time), but maybe they brag less in future posts. I have to imagine this just made Rob McCord’s day much better. Well, that’s a relief for those of us concerned he would screw up the gov race.